If you're looking for the nostalgic charm of country cottage, farmhouse, or rustic, this barstool just might be your perfect match. 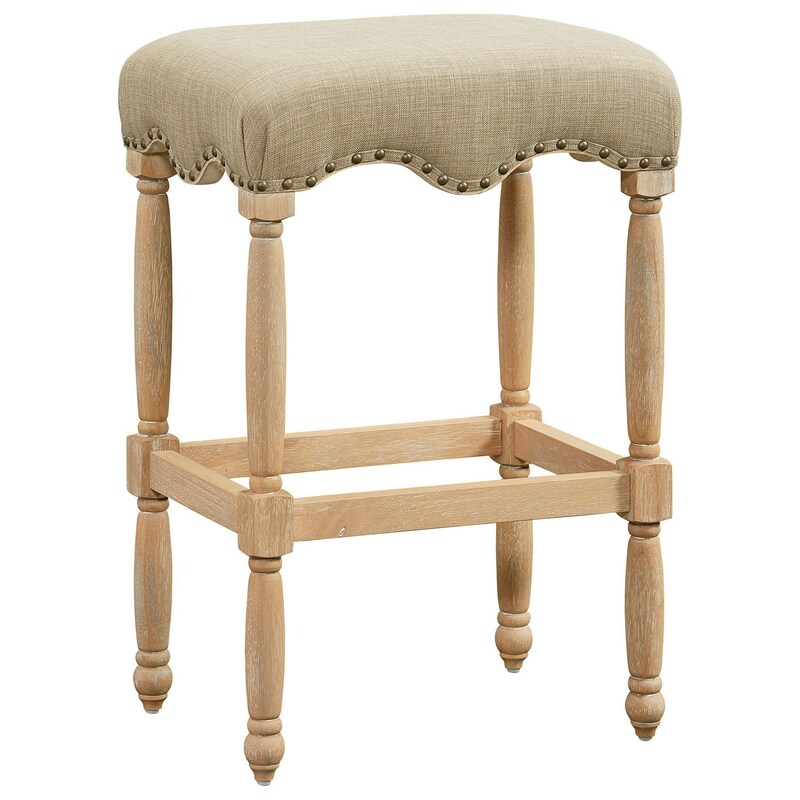 Traditional shapes and handsome nailhead studs give this bar stool a timeless, Vintage look. Shown in a 100% polyester fabric that mimics the look of linen. The Yorkshire Traditional Barstool with Nailheads - Flax Fabric by Standard Furniture at Miskelly Furniture in the Jackson, Pearl, Madison, Ridgeland, Flowood Mississippi area. Product availability may vary. Contact us for the most current availability on this product.